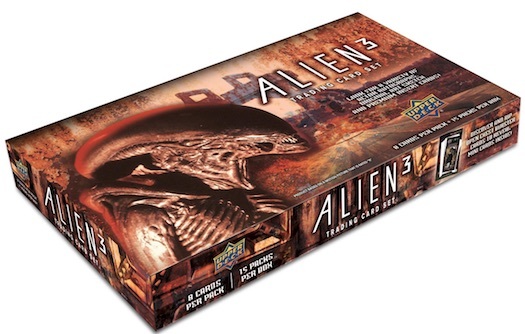 Covering the third installement of the Alien franchise, 2019 Upper Deck Alien 3 takes collectors on a journey to the foundry and prison at Fiorina "Fury" 161. 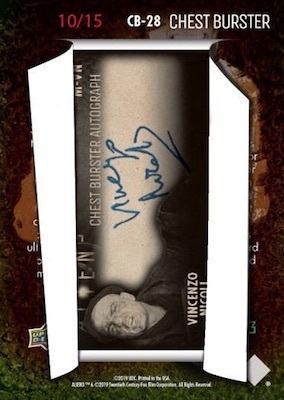 Each Hobby box contains one metal card, one rip card, and one autograph or sketch card. 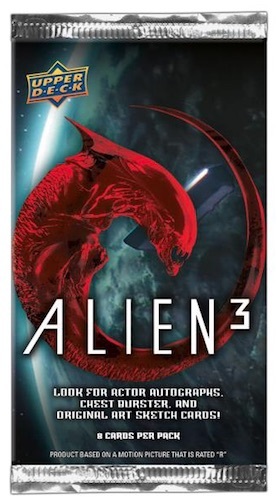 This is the third movie-specific Alien set from Upper Deck in recent years, joining Alien from 2017, and Aliens from 2018. 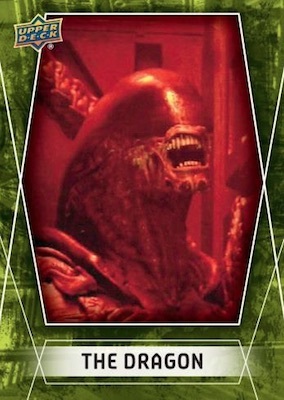 In addition to Sigourney Weaver returning as the sci-fi icon Ellen Ripley, the 1992 film marks David Fincher's directorial debut. Fincher would go on to direct Seven, Fight Club, The Girl with the Dragon Tattoo, The Social Network, and Gone Girl, among others. 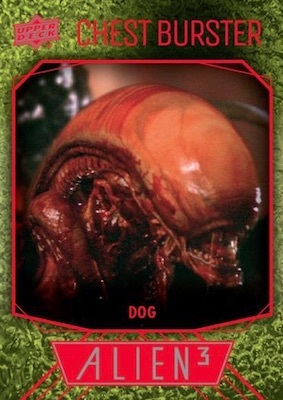 The 100-card base set in 2019 Upper Deck Alien 3 pulls images straight from the movie to give fans a nice refresher course. There are also two parallel styles. 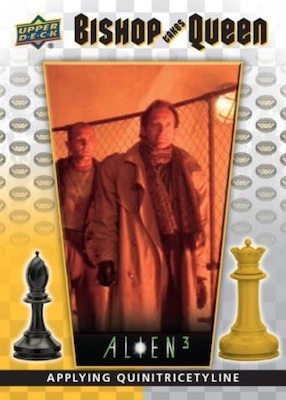 This includes a special Movie Poster Puzzle Back version that forms a larger image. 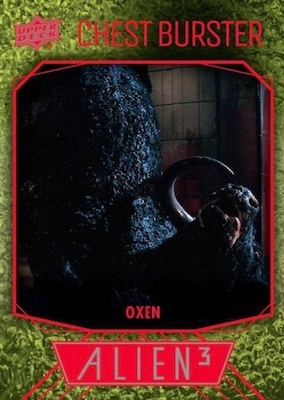 Overall, there should be one parallel per pack. 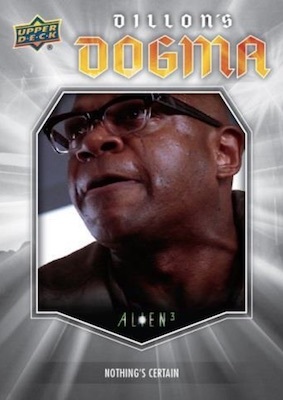 In addition, the various inserts use the film for inspiration and combine to average one per pack. 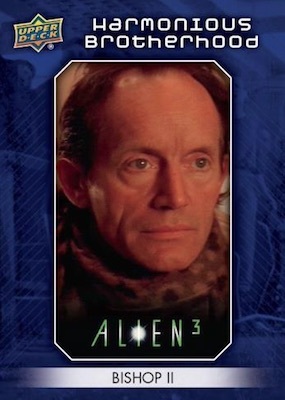 Behind the Scenes is a UD staple that pulls back the curtain on the production of Aliens 3. Other options include Dillon’s Dogma, Harmonious Brotherhood, and The Dragon. There is also the playful, chess-themed Bishop Takes Queen insert. 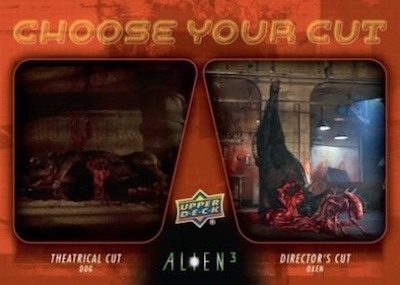 Choose Your Cut displays a scene from the theatrical version alongside the same scene from the director's edition to let collectors decide their favorite. 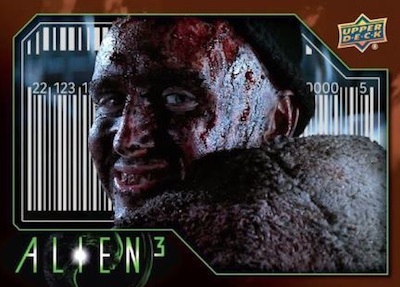 That only leaves the hits, and the 2019 Upper Deck Alien 3 checklist is not short on choices. 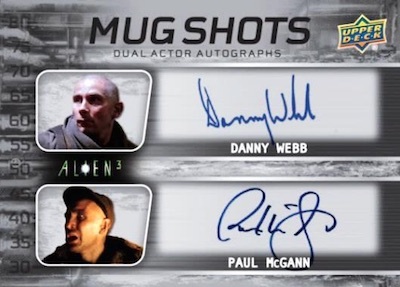 The Mug Shots line provides the main actor autographs in single and dual form. 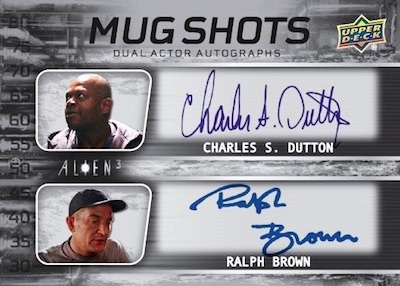 These combine with the Sketch cards to fall one per Hobby box. 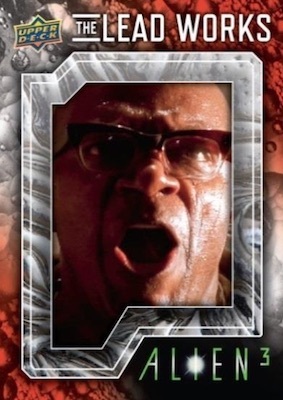 The Lead Works plays into the film's setting on a metal-producing facility with actual metal cards. 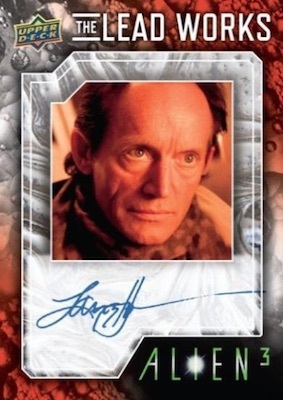 The most limited editions are The Lead Works Autograph cards, numbered to 25. Collectors can expect one metal insert per box. 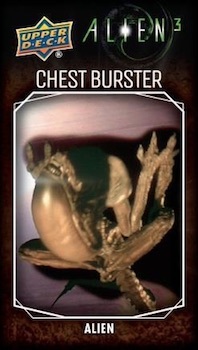 Finally, if the scary chestburster scene still haunts your dreams, turn away now. 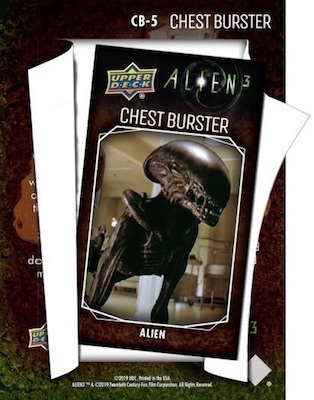 The Chest Burster rip cards also come one per box, and house a little extra inside. 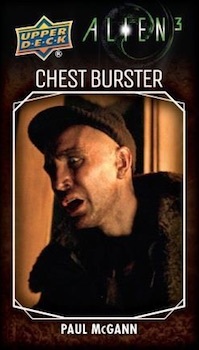 When ripped, the cards reveal exclusive miniature cards. 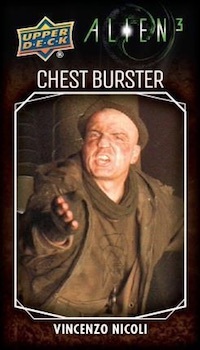 This includes Chest Burster Mini cards numbered to as low as 15 copies, and rare Chest Burster Autograph cards. 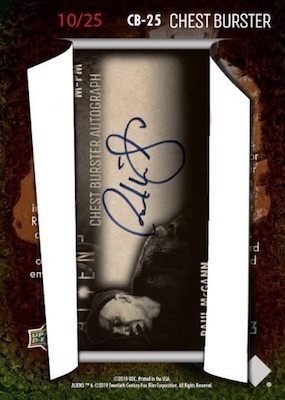 2016 UPPER DECK ALIEN ANTHOLOGY AUTO SP LOT OF 10 RON PERLMAN PINON SCOTT ROSS! !